Service 11 to Honicknowle: Monday to Saturday buses will run every 20 minutes rather than 15. Service 17, Southway via Mutley and Crownhill: Monday to Saturday service will be every 15 minutes rather than every 12. Service 7 to Derriford Hospital and Woolwell: Buses on Monday to Saturday will run every 30 minutes rather than 20. 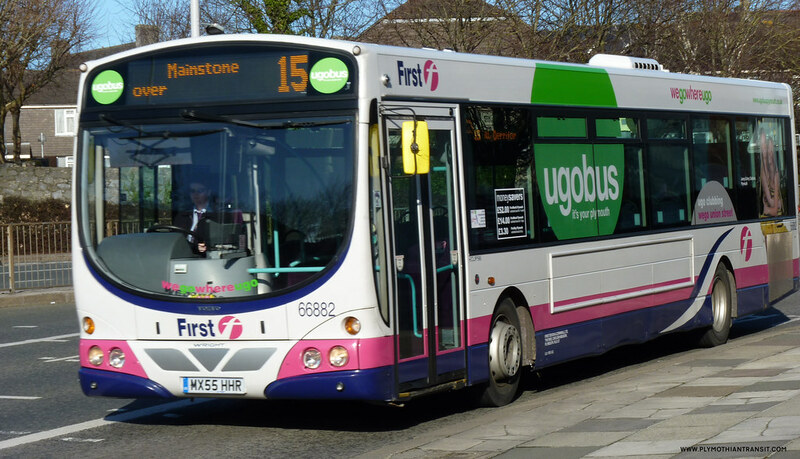 Service 15, Mainstone and Estover via Mutley and Derriford: Buses will run every 20 minutes Monday to Saturday daytime (rather than every 15 minutes). Buses on Sundays are unaffected on all these services. Uncle Terry - New carpet? Snow and hail showers in the North Devon area is making road conditions poor. Most services are affected but are running subject to delays. However service 303 won't be able to serve the villages of West Down, Heanton Punchardon & Ashford today. We apologise for any inconvenience caused due to circumstances beyond our control. have you seen the plaxton primo based at tavi depot yet?